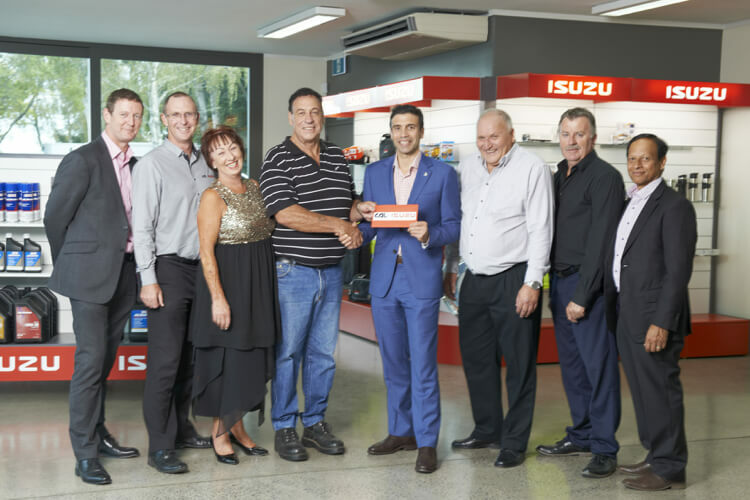 CAL>Isuzu Hamilton hosted a cocktail event for a pre-trip celebration, C. Seymour from Seymour Transport Group attended the event along with Holden/ Isuzu NZ Managing Director Kristian Aquilina who presented the prize. The Japan tour will include culture, sporting events, Japanese cuisine, sightseeing and a visit to Isuzu Fujisawa truck plant located in Kanagawa. The winners will also be joined by CAL> Isuzu staff member from the dealership that supplied the Isuzu Truck.